MANILA -- NCAA Season 95 may be just seven months away but Emilio Aguinaldo College have a change of command for the new year. The squad from Ermita were next to announce the replacement, after host school Arellano tapped the services of Pasay mentor Cholo Martin earlier in the year. Sources close to Dugout Philippines confirmed that former Gilas deputy mentor Oliver Bunyi will be replacing Ariel Sison as the Generals' new commander in 2019, which was initially reported by Matthew Li of Tiebreaker Times on Thursday. According to the report, which also cites Spin's Randolph Leongson, the dean of EAC's IT department will slide down as its lead deputy after recording a 17-37 slate in his three years at the helm. Bunyi propped up his coaching career after playing as backup to Dickie Bachmann and Jun Limpot in La Salle's title-winning squad in the UAAP in 1989, beginning with the Quezon Red Oilers in the old Liga Pilipinas. For two years, he was one of Rajko Toroman's assistants in the original Gilas program that ended up fourth in the FIBA Asia tilt in Wuhan, China in 2011. 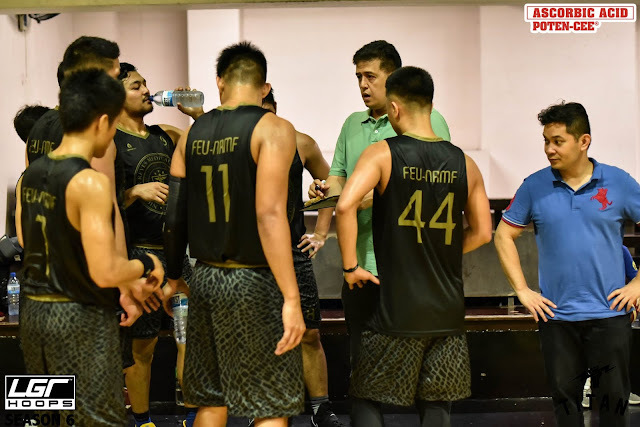 Currently, Bunyi is a mainstay in various "ligang labas" as the head coach of FEU-NRMF, which has former UE Red Warrior Clark Derige in its ranks, and will join the Generals in time for new PBA D-League season.